Mr Jie Song was educated at Changsha , Hunan University of TCM from 1979till1984,got a Bachelor degree in Medicine,then from 1985to1987 study at Nanjing University of TCM,finished a Master degree of Medicine.he started his 31 years TCM career from 1984,he was appointed as a Consultant at Hunan Academy of TCM.Since 2001 he came practicing in theUK, now he is the chief consultant in HERBS SONG. Mr Jie Song is an expert TCM practitioner with cancer support, skin conditions such as eczema,acne,psoriasis,back neck shoulder knee pain,female infertility. 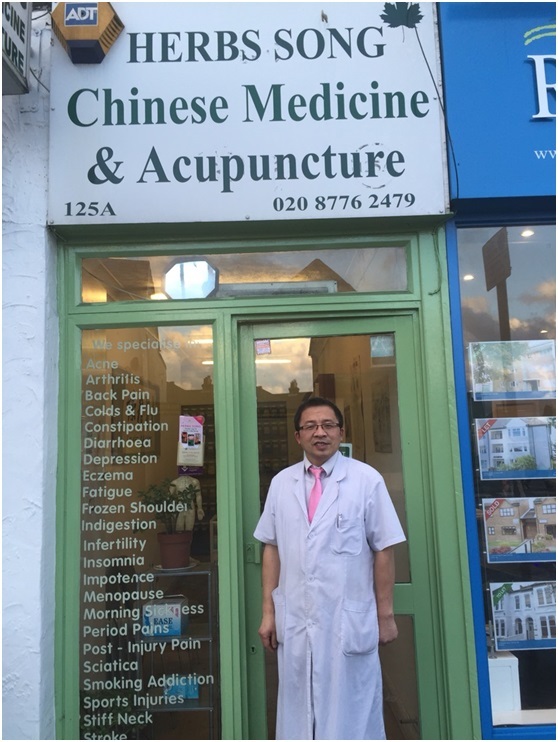 Mr Jie Song also is member of British Acupuncture Council.